After my nearly 30 year love affair with Porsche, it’s interesting to look back over the years to see resources and individuals that continue to be the authority on the brand and it’s enhancement. One of these individuals is Bruce Anderson, a legend in the world of all things Porsche. It’s no surprise that his book, Porsche 911 Performance Handbook, is one of those resources that has stood the test of time. Motorbooks was kind enough to send me a copy to review. This is the 3rd Edition. I’ve got the previous two versions on my shelf, although the 3rd Edition feels significantly thicker than previous versions. Nearly half the book is dedicated to what I consider to be groundwork type of stuff for Porsche 911, even general Porsche, enthusiasts. What’s great about that approach is the depth of information available, written in an easy to read and understand manner. For a car guy like myself, who doesn’t have the mechanical experience that enables me to take stuff like this for granted, Bruce’s coverage proves to be invaluable. That’s not to say the book won’t provide seasoned mechanics with some meat to trick out their rides. There really is something for everyone. Personally, I think the book should be required reading prior to Porsche 911 ownership. It’s a great resource for those embarking on the purchase process. I’ve long loved this book and would recommend it to anyone. 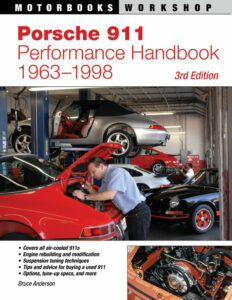 Check out Porsche 911 Performance Handbook on Motorbooks.com. 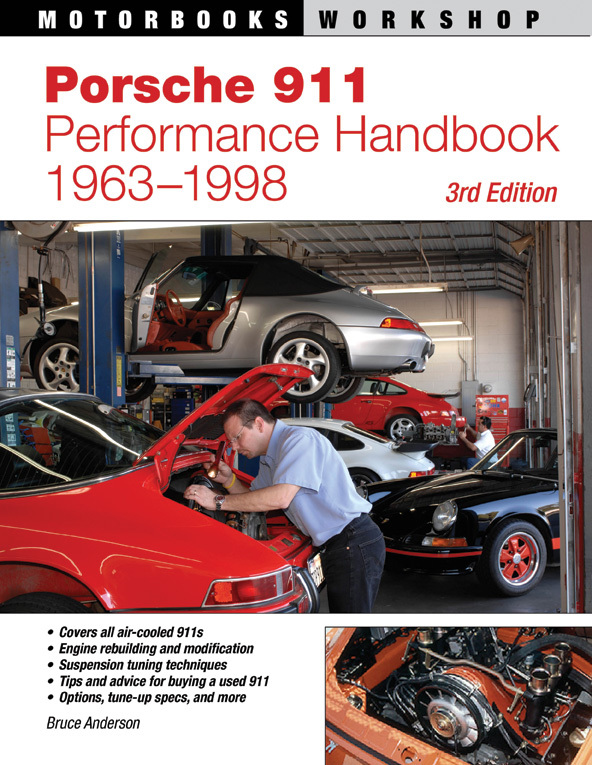 You can also find it on Amazon.com: Porsche 911 Performance Handbook. This is just one of the 10 books included in our current giveaway. You’ve got the opportunity to win the Ultimate Porsche Bookshelf. Just sign up for our newsletter and you’re automatically entered. You can read more here: Win A Porsche Library Courtesy of Motorbooks.